The Simple Things arrives in France! 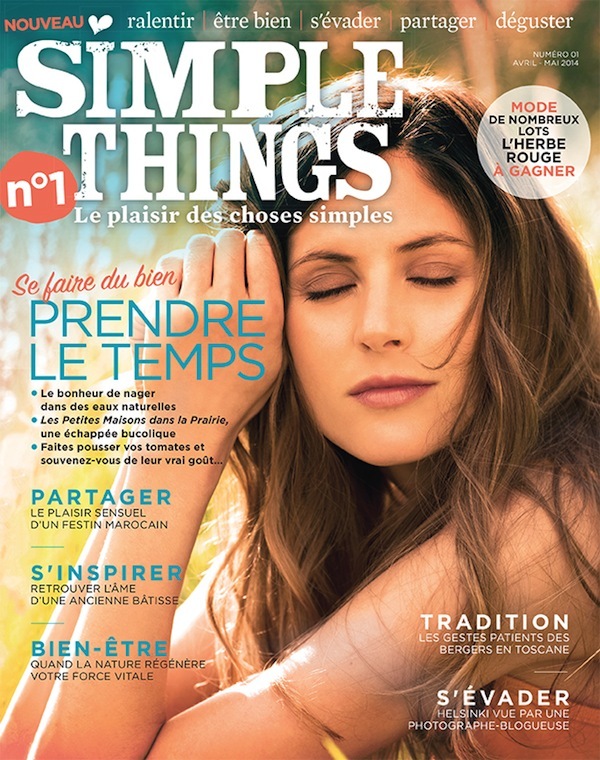 The Simple Things is finally in France! Close your eyes and think about what really matters: sharing, bonding, smiling. Take a deep breath and smell the sweetly scented air of blooming flowers. Let the sunlight stroke your eyelids. Take your time. Enjoy every moment. Dive into a river and let yourself drift away like a child. Let go and marvel at little things, at nature that gives so much. Let your meals simmer, savor them with those you love, and talk until the crack of dawn.